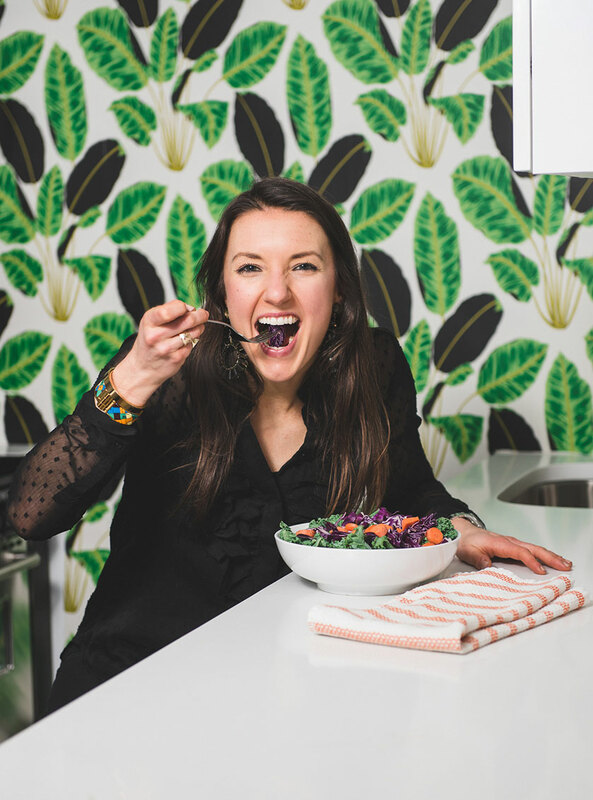 I believe that we can healthfully include dessert EVERY DAY, but it’s all about what you pick (like anything else). Desserts often end up being devoid of healthy nutrients, but if we take the time to include some fiber, less sugar, and more healthy fat- suddenly we have something that tastes good and is also beneficial for the body too! 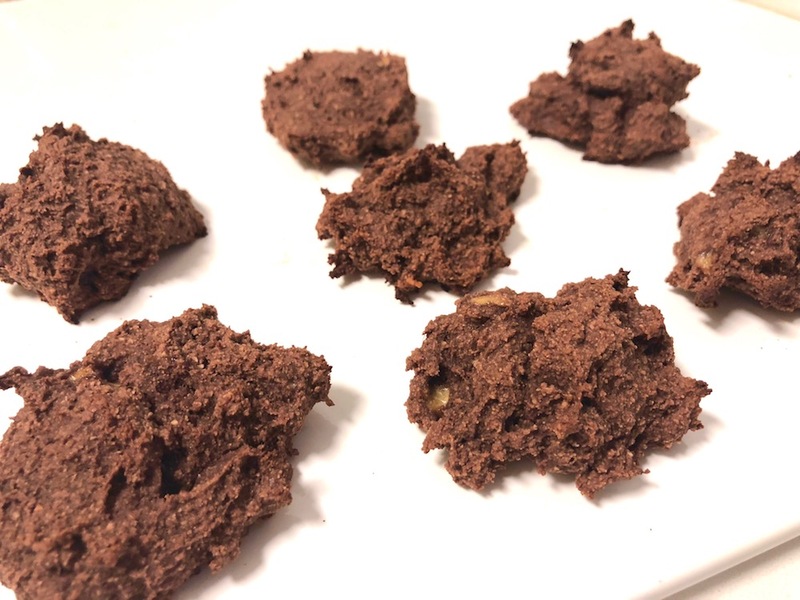 This recipe for Double Chocolate Fiber Cookies has no-added sugar, and is packed full of nutritious ingredients! When I create a new treat, I try to use gluten, and dairy free ingredients whenever possible to help prevent the possibility of digestive inflammation or discomfort. For my cookies I included tigernut flour, which is super high in fiber, and lower in fat when you compare it to many other gluten free flours. I couldn’t finish this dessert without adding cocoa powder, for a rich chocolate flavor ! Chocolate is great because it is an antioxidant and has a range of health benefits from reducing the risk of cardiovascular problems to preventing or slowing cognitive impairments. 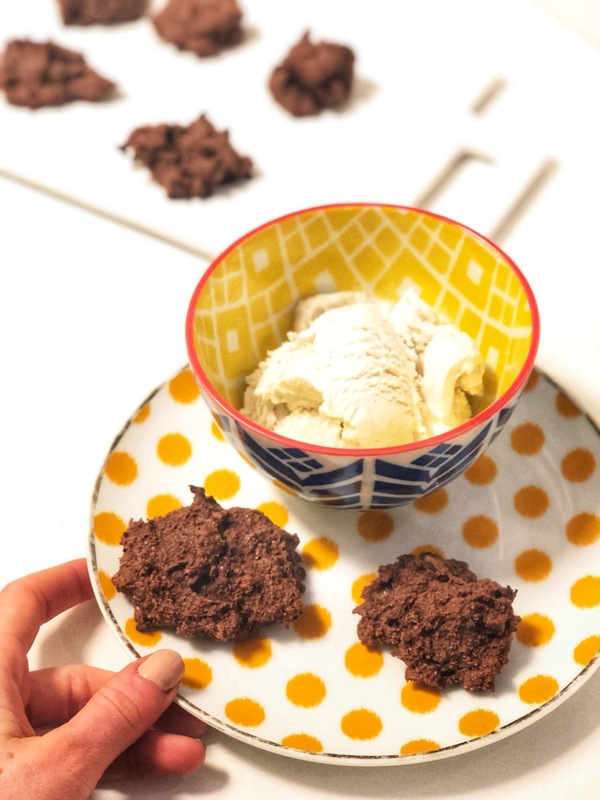 I paired my cookies with a scoop of my favorite vanilla dairy free ice-cream, for an almost totally guilt-free dessert! For 15-20 seconds in the microwave, melt the coconut oil and the peanut butter. Combine all ingredients in a mixing bowl and mix together until almost entirely homogenous. Form the dough into cookies and place onto a greased cookie sheet (use a little coconut oil)- you should get ~8 or so cookies. Place the cookie tray into the oven and bake at 400 degrees for about 15 minutes. Allow the cookies to cool, then serve! Want more desserts? Click HERE! Next PostSpring has Sprung, so what does that mean for your health?